THE HEARD, the new Swedish rock band featuring former CRUCIFIED BARBARA guitarist Klara "Force" Rönnqvist Fors, bassist Ida "Evileye" Stenbacka and drummer Nikki Wicked (a.k.a. Jannicke Lindström) alongside DEATHSTARS bassist Jonas "Skinny Disco" Kangur (on lead guitar) and burlesque performer, model and singer Pepper Potemkin, has released a new single, "A Death Supreme". 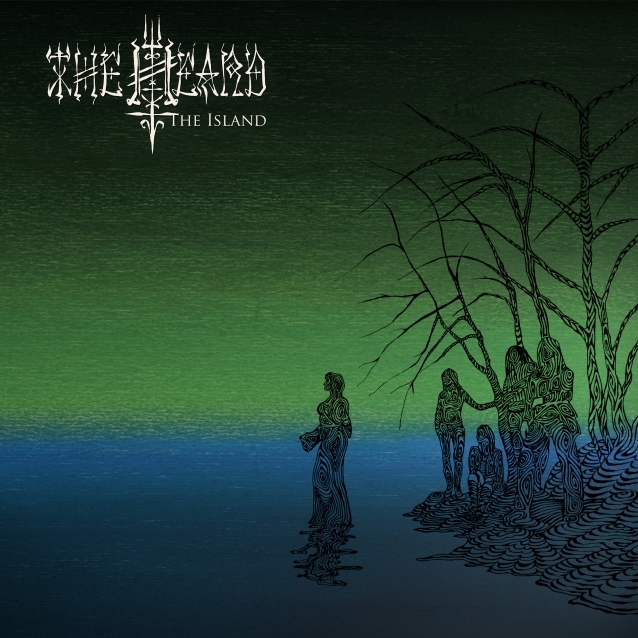 The song is taken from THE HEARD's upcoming debut album, "The Island", which is due on November 2 via Despotz Records. "A Death Supreme" tells the story of a female writer who moves out to the island in hope for a better life. But her past catches on and instead of becoming an ugly corpse she chooses "a death supreme." The music and its harmonies reflect the beautiful but troubled soul. In the deep, dark waters of the Baltic Sea there is an island. A very peculiar island. At first glance, it might seem beautiful and peaceful, idyllic even, but the island's seductive powers are not all they seem. "The Island" revolves around the characters and places on this mysterious island. It is a concept album where the listener becomes acquainted with an island that is located somewhere between dream and reality, a place with room for both the ordinary and the supernatural. An island filled with both love and sorrow, where vitality and death live side by side. Although THE HEARD members' roots are firmly embedded in hard rock, they let their music grow wild and beyond genres. The result is a dynamic album that is not bound by either the heavy and hard, nor the soft and sheer. Says Klara: "'The Island' is a dream project. "Me, Ida and Nicki have been playing music together since our teenage years. Our thoughts about exploring the songwriting has been growing for a while. It was incredible to meet Skinny and Pepper who immediately understood our vision. "THE HEARD is very different musically compared to our previous work, and it's been very exciting to write a concept album. It's also been a pleasant escape from reality while making this album. "We love our intriguing, supernatural island world and hope our listeners will enjoy it as much as we do." THE HEARD made its live debut in February 2018 at the Where's The Music festival in Norrköping, Sweden. CRUCIFIED BARBARA announced its breakup in June 2016, two years after the release of the band's fourth album, "In The Red". The group explained at the time that "our lives have parted and we need to move on. The last years have taken its toll on all of us and the joy of playing together got lost somewhere along the way."